Ignatow, Amy. 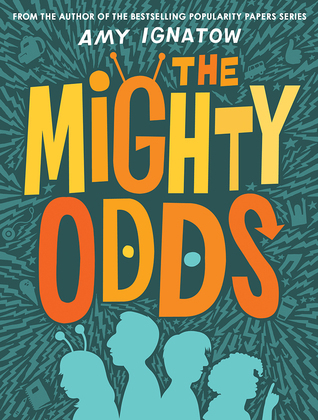 The Mighty Odds. Harry N Abrams, 2016. When a school field trip turns into a bus accident, four unlikely allies all inherit strange powers. They must band together to find out how they received these powers and what they should do now that they have them. This book is the first in a series, so there is a considerable amount of character development and backstory happening before the actual plot begins. Once the story does pick up, the action keeps it flowing right until the end, which is a cliffhanger as there is another book coming after this one. I could easily place this book in the hands of Wimpy Kid fans, especially once the sequel is out, but some reluctant readers may find it difficult to get through the all of the background bits that happen at the beginning of the book.